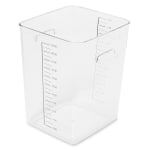 The Rubbermaid FG632200CLR space-saving square container is made of clear polycarbonate to provide visibility and resist breaking. It has a 22-quart capacity and can store 25 percent more than round containers. The sturdy handles support safe transportation, and the drain holes reduce standing water in the container after washing produce. There are red markings for measuring in quarts and blue markings for measuring in liters. 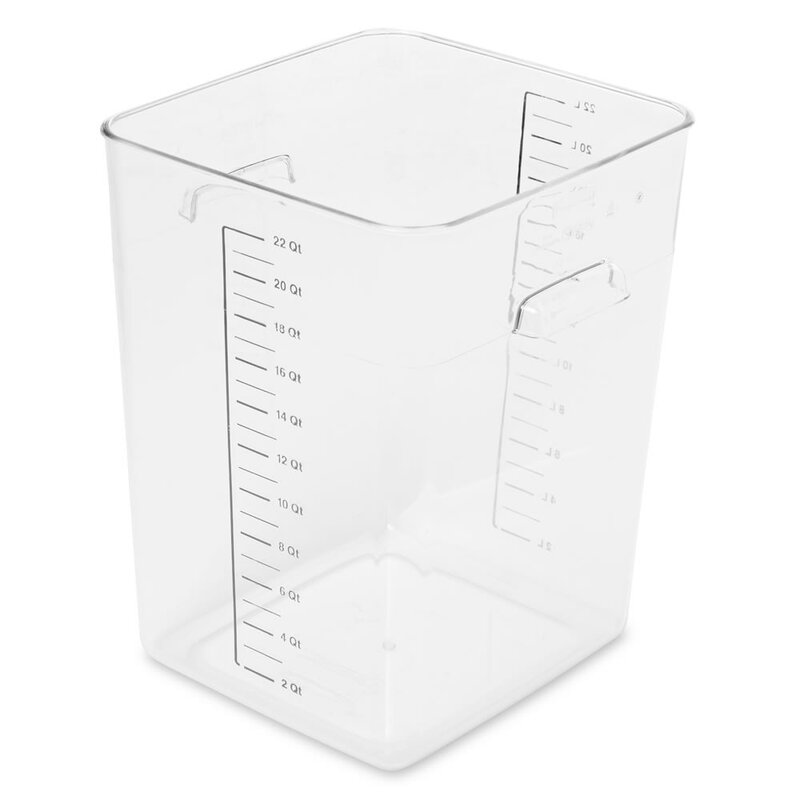 The Rubbermaid FG632200CLR square container has a temperature range of -40 to 212 degrees Fahrenheit and is dishwasher safe. To learn more about these containers, check out our food storage containers guide. "The product replaces perfectly the one I wanted to replace. The only problem is it came w/o a lid which I thought was included."